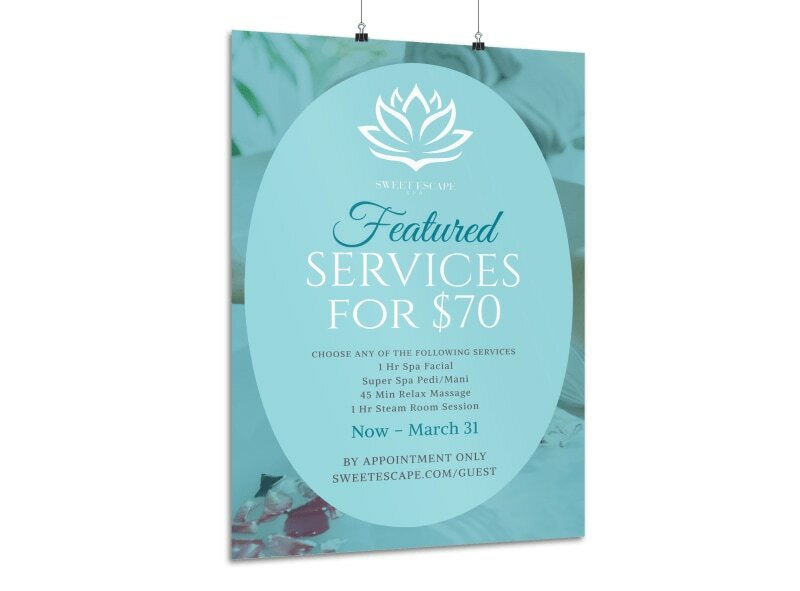 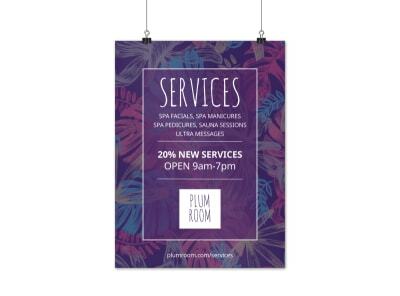 Customize our Featured Spa Services Poster Template and more! 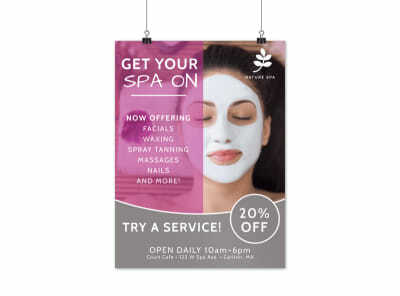 Let the locals know that tranquility is moments away by describing your spa services using this attention-demanding poster. 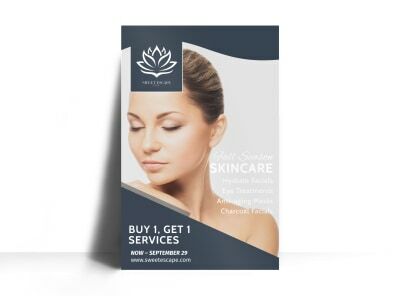 Insert your promotional text and customize the template with ease using our interactive online editor that allows you to add your own images and choose a preferred color theme.